Ok it’s been a little serious up in here, so I decided to break up the introspection with a little superficial fun! It is common knowledge I love to do my hair. If you see me in a basic ponytail, know it’s a bad day. I have a few styles I return to over and over again, in part because they look good and in part because I can knock them out in 5 minutes. 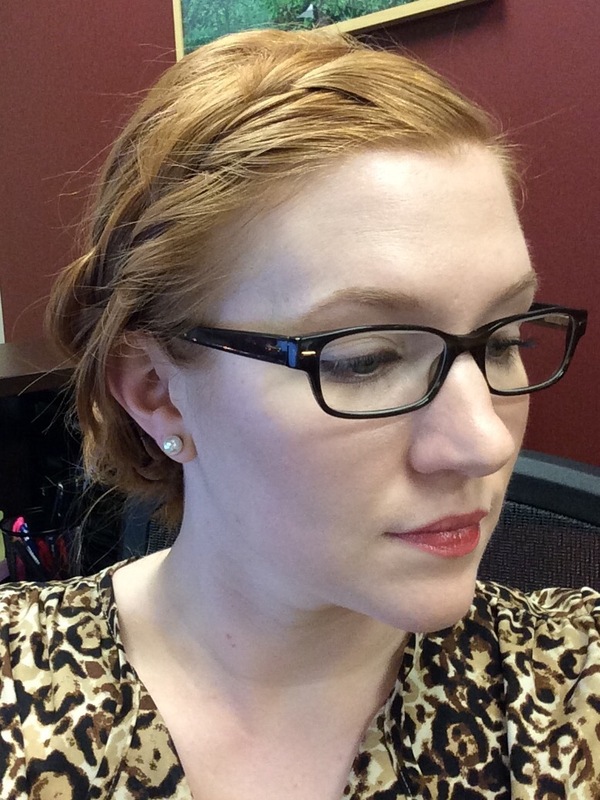 Lately I have been struggling with my work-appropriate hair since I have literally outgrown my past styles. Downside to growing my hair out again. But not one to be deterred, I searched the all knowing Pinterest and found inspiration in this pin for a quick braided style. My hair is far too short to look this way, but really I think that length is massively excessive for the average person (as someone who has had before). Now onto the step by step! This style works best on day old hair, it doesn’t matter if your hair is straight or curled though! To start, I did a light teasing of the roots all over my head. Since I am on day old hair, I did prep with the Dove Dry Shampoo first but that is totally optional. Make sure you part your hair with a deeper side part. Taking the deeper side of your hair (aka the part that drapes across your forehead when you have bangs) french braid a 3-inch deep section down to about your ear. Betty note – to hold the braid in place while I do the second side, I just put a bobby pin across where I wanted the braid to stop. Sweep the hair from the shallower side to the back and either twist the hair or add another french braid. Either way, stop just past the half way point of your head (the far side of your spine, the one closes to the other braid). You can again do the Betty note above to hold this braid in place. Making each side braid one strand, braid the remaining hair down till you start to get flyaway (if you have layers) or about an inch from the end. Your results will look like this when you have finished the above steps!
. This is pretty much where the pin stops. As you can see, it doesn’t look good with shorter hair. If this look works for you, by all means stop here! Or for the full look, tuck the ends of the braid up and roll it under till it reaches your head. This motion is similar to when you are putting in rollers, just minus the roller. Pin as needed. 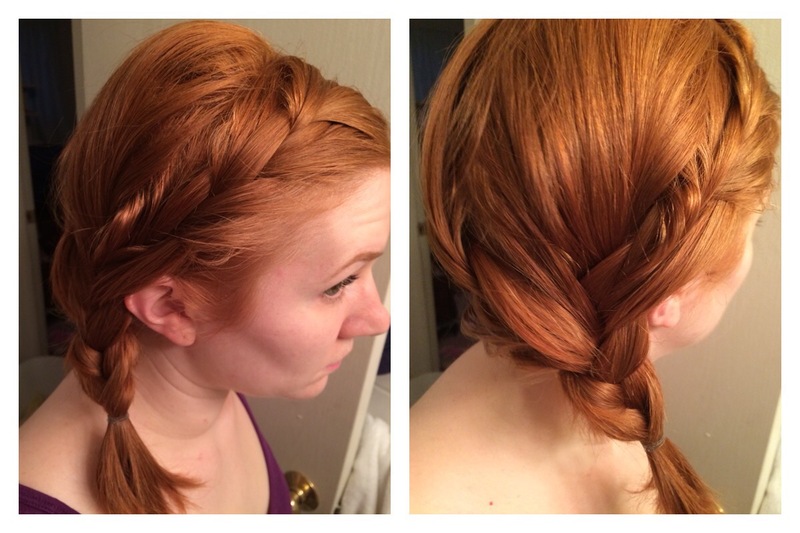 I had a couple areas where my hair was too loose in the braid, I just pinned those in. Finish off the whole look with some setting spray and away you go. Final result, 15 minutes or less and still chic enough for a day to night look! Please pardon the frizz, I realized after being out in the wind that all my final photos has a weird shadow on them!